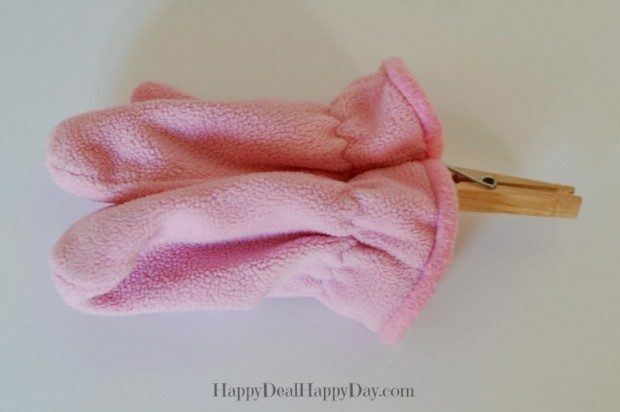 8 Clever Ways A Clothespin Will Make Your Life Easier! 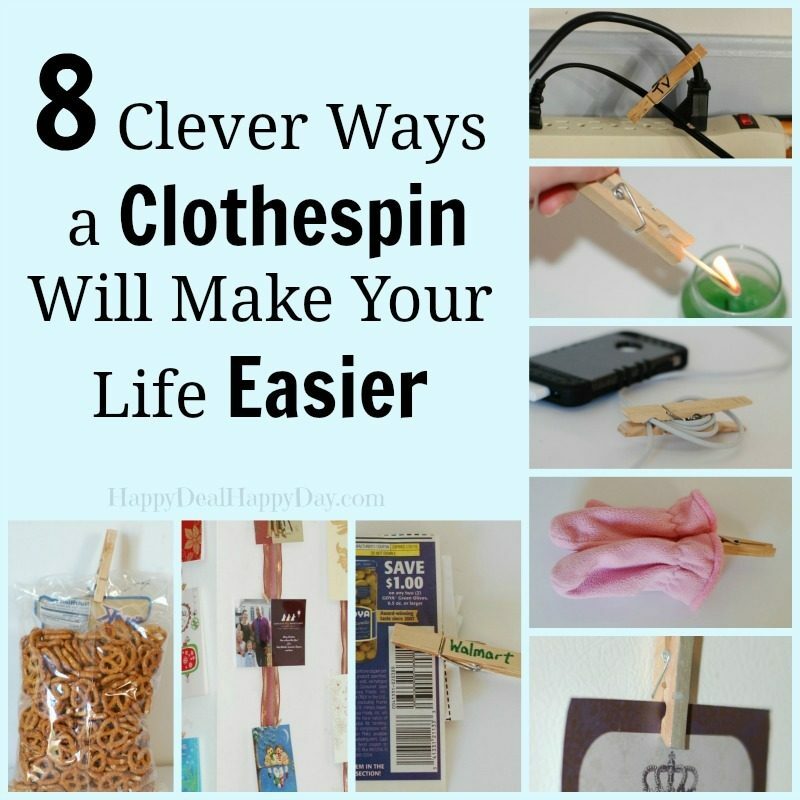 You are here: Home / Family Living / Household Hacks / 8 Clever Ways A Clothespin Will Make Your Life Easier! The Clothespin: something that costs as little as about $0.05 each, and is a very useful and versatile tool to have around the house! That’s why you can probably find them in most rooms in my house. They are handy and cheap little things that make my life easier. Here are 8 ways in which you can use them to do the same! 1. Replace the “chip clip” with a clothespin! You don’t need fancy clips to keep your chip bags closed, or your cereal bags closed, or frozen veggie bags in the freezer. Just grab a clothespin! 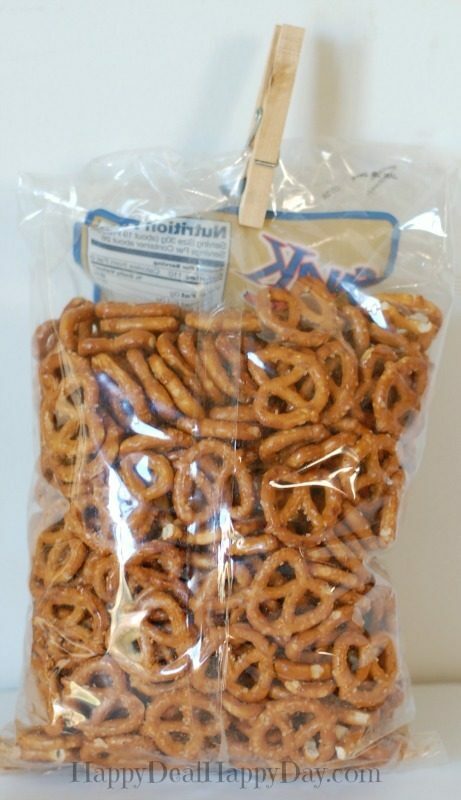 I have a string of them attached to my shelf in the pantry so that I can always find one to grab to close all of my food storage bags. 2. Use it as a coupon organizer. 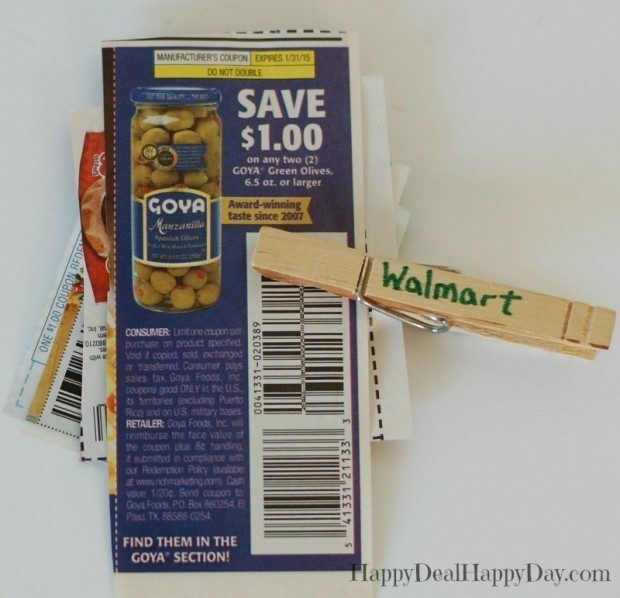 Want to easily keep track of coupons depending on what store you will use them at? Write the name of the store on the clothespin and separate them out that way. It is bulkier than just a paper clip, but I like these better because of the ability to write the store name on the clothespin. 3. Display your Christmas cards. To display my Christmas cards each year, I have a 4″ long Christmas ribbon with a grommet at the end that I hang on command hooks. 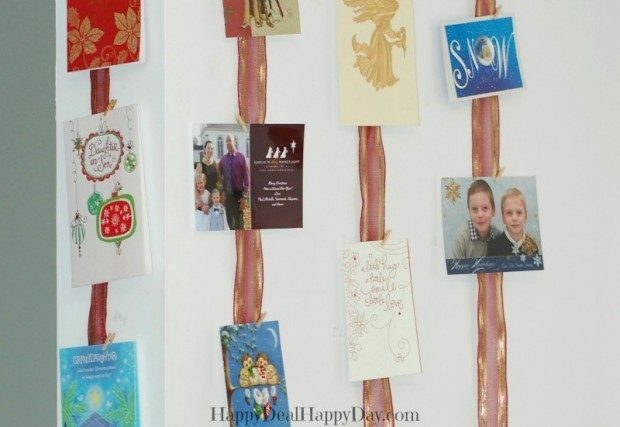 I then grab a mini clothespin and pin each Christmas card we receive to one of the hanging ribbons. This is a convenient way to display your cards without having to use tape, poster putty, or put a hole in the wall! 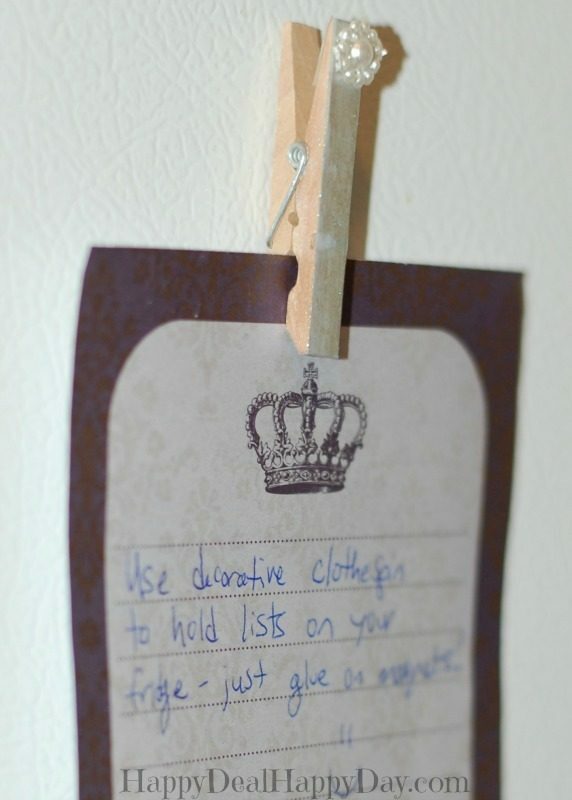 I have a clothespin that I glued some strong rare earth magnets on the back to it so it can easily hold up my weekly grocery list on my refrigerator. If anyone in the house needs anything – they know that it needs to get written on this list in order for me to purchase it. 5. Keep mitten and glove pairs together. Keeping gloves together in pairs is more difficult than socks because you can’t always fold one glove into the other to keep the match. I have a bin of hats and gloves in our coat closet, and all of the gloves and mittens are kept together with their match with a clothespin. 6. 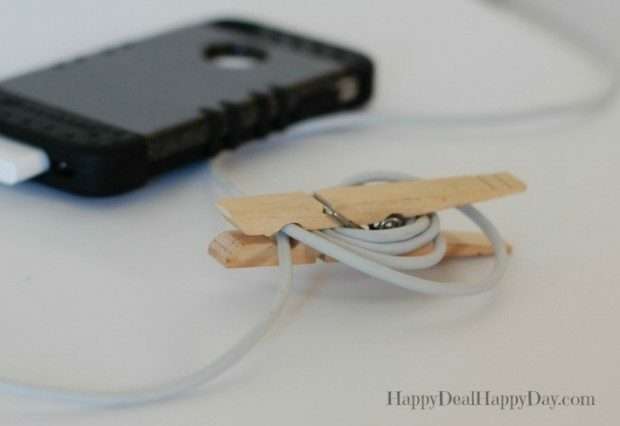 Phone charger cord holder. 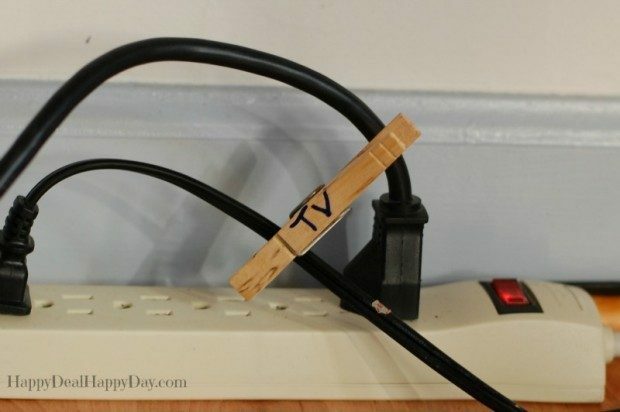 This is a super easy way to help control the cord clutter on a table or counter where you charge your electronic devices. 7. 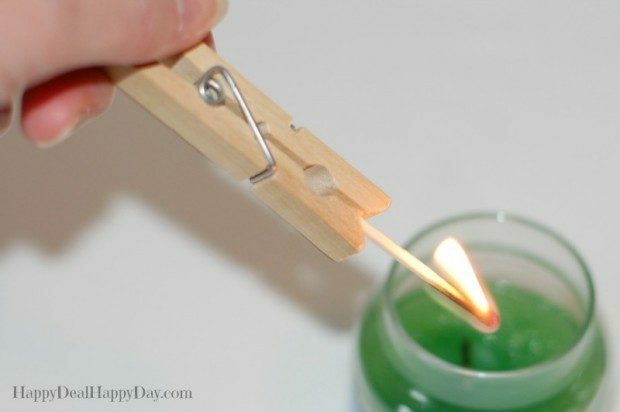 Light a deep candle with the help of a clothespin. Have you ever had a candle you wanted to light and the wick was too deep and you didn’t have a long utility lighter near by? Just use a clothespin to hold the match. This will give you enough length to hopefully get that candle lit! 8. Label cords on a power strip. Maura White blogs over at Happy Deal – Happy Day! Frugal crafts, recipes and money saving tips are regularly shared. She also loves to share about her shopping trips to Wegmans, and helps to find you be the best deals on Amazon!